I’ve only ever been to the races twice, once with my Mum and once with my friend Sarah to cheer on her uncle’s horse and watch Calvin Harris in the evening. Both times it was in the heart of summer. Unfortunately the day that Mum and I went, we were subjected to a horrific rainstorm and I was transformed from horse race glam to drowned mess. On the day that I went with Sarah, it was a gorgeous day shimmering in sumptuous sunshine and it was simply lush. I’ve always viewed the races as a nice girly day out where you can switch off from life, get dressed up and have fun. There aren’t many events that people make a real effort for these days and I love that you can be quite bold with your choice of fashion at the races. I love looking at all of the hats and bright dresses. In a couple of weeks I am heading off to the races again for the Hennessy Gold Cup at Newbury Racecourse. I’m really excited to go because I love the atmosphere and I just know that we will have a great time. I love the glamour of a day at the races, a chance to dress up and have fun. Having never been in Autumn/Winter, I’m a little unsure on what to wear because I know that I’m going to have to layer up. Luckily I’m a bit of a coat hoarder, so I’ve got some gorgeous coats to consider as well as some lovely accessories. I’m thinking that I can still wear a pretty dress and fascinator because I’m sure that I won’t be outside the whole time and hopefully the weather will be gorgeous anyway. This year marks the 60th Hennessy Gold Cup, so I’m certain that it will be a special day. 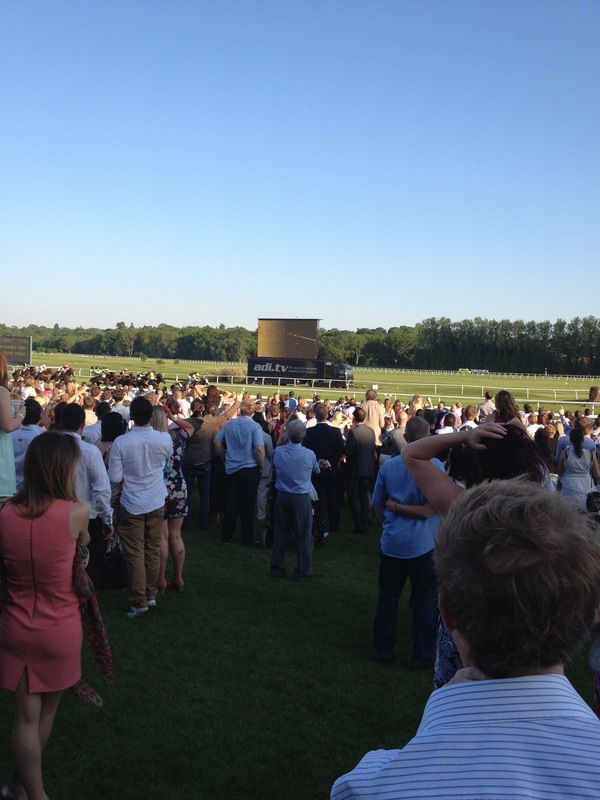 It’s a massive event for any horse racing fan and it always has such a high turnout. It’s also a hotspot for celebrities too, so I will be certain to do a little celeb spotting! The main focus of race day will be on predicting the winner. I’m not much of a betting person, but I’ll probably place a cheeky bet or two. I normally pick the horse with the best name, but I might do a little research beforehand to heighten my chances of success, although a ‘favourite’ has only won sixteen times in sixty years at the Hennessy Gold Cup, so my random method might actually be successful! There’s also lots of nice food and drink available, so I’m quite looking forward to getting stuck in to that too. Both times that I have been, there has been some great entertainment in the evening so the day doesn’t stop as soon as the last race finishes. I can’t wait to see what the entertainment will be like at a big event like the Hennessy Gold Cup. Something that I am also super excited about is meeting lots of other London based bloggers who will also be attending. I love meeting other bloggers, so it will be wonderful to mingle. Now here’s the super exciting news, I’m co-hosting a giveaway so that you and a friend could be joining me at the races too! The prize is Two Premier tickets to the Hennessy Gold Cup at Newbury Racecourse, a Hennessy picnic and a night for two B&B in the Lodge Hotel for the 26th of November. It’s such an amazing prize to win because it’s pretty much a free weekend away and who doesn’t want one of those?! With Newbury Racecourse being so easily accessible from London and surrounding areas, it’s a great giveaway to enter. So how can I enter? I hear you ask, well all you have to do is hop on over to Mode of Style and fill in the rafflecopter by the 18th of November 2016. Make sure that you read the T’s and C’s first though! If you want a glimpse of what’s to come, there’s a great video about the Gold Cup here.